WASHINGTON — Planetary Resources, a company with long-term plans to perform asteroid mining, announced May 26 it has raised $21.1 million to develop a satellite system for Earth observation. The Redmond, Washington, company said that the Series A investment round, its first since the company’s founding in 2011, will support the development of a satellite system called Ceres to carry out infrared and hyperspectral Earth observations. The Ceres system will ultimately include 10 small satellites, based on the company’s Arkyd 100 bus, in Earth orbit that will provide hyperspectral and mid-infrared observations of the entire Earth on a weekly basis. Planetary Resources believes that this data, not readily available from other satellite systems, will provide key information for the agricultural, natural resources and other industries. The company billed Ceres as a natural outgrowth of technology it was developing for asteroid prospecting and mining, particularly the development of hyperspectral and infrared sensors. “These two capabilities are key for what we think is the highest value remote sensing for asteroid prospecting,” Chris Lewicki, president and chief executive of Planetary Resources, said in a May 26 interview. Much of the other technology needed for Ceres, including the spacecraft themselves and data analysis systems, will also be useful for future asteroid prospecting missions. “When complete, we’ll really have retired the risk and gone operational on much of the system that’s required to do the asteroid mission,” he said. Lewicki said he expects to start deploying the operational Ceres spacecraft in late 2018. The new funding round will support development of the system, but he said additional funds will be needed to fully deploy the system. He said the company’s first asteroid mission would follow in 2019 or 2020. Leading the financing round is OS Fund, a venture capital firm established in 2014 whose mission, according to its website is to invest in companies “working towards quantum-leap discoveries that promise to rewrite the operating systems of life.” It includes “aerospace and physics” as one of its areas of interest. Several other funds and groups of angel investors also contributed to the round, as well as Larry Page, the billionaire co-founder of Google who was one of the founding investors in Planetary Resources. 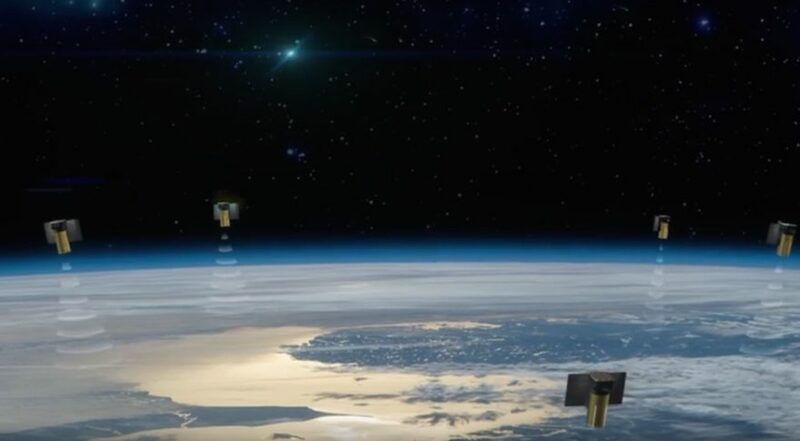 While the company presses ahead with an Earth observations system, it is backing off from earlier plans for a crowdsourced satellite. In 2013, the company raised $1.5 million from more than 17,600 people through the crowdfunding site Kickstarter to help develop a dedicated Arkyd 100 satellite that could be used for education and public outreach. However, Planetary Resources announced May 26 it was cancelling those plans and would refund the money it raised three years ago. The company, in a statement on its Kickstarter page, said it could not raise the additional resources needed to complete development of the spacecraft. Lewicki said the company will look into alternative approaches to provide the public engagement that the original mission offered. “We’re working on one of the most audacious and biggest visions out there, and we enjoy sharing what we’re doing as much as we enjoy doing it,” he said.